I know i am bit late on the Christmas Giveaway so this would be more of a New Year's Giveaway just to say thank you to all my lovely readers for all your support and love. I appreciate everyone of you and if i could do giveaways for everyone, i would do so. This is just a tiny giveaway to usher in the New Year because i know everyone is concerned with Christmas Gifts now so i think getting something new in time for the New Year is nice. 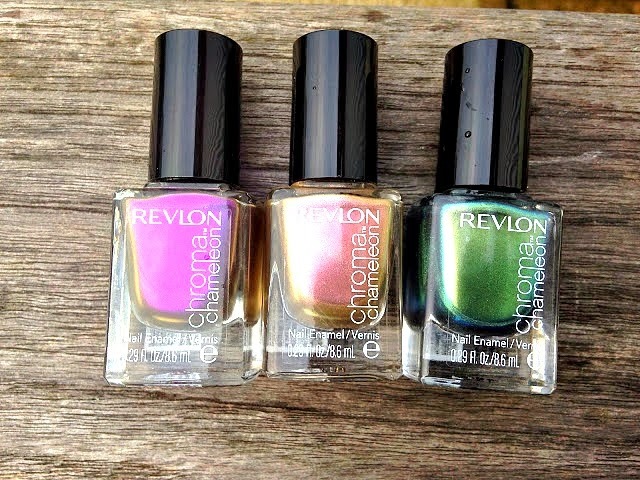 I recently discovered the Revlon Chroma Chameleon Nail Polishes which were launched earlier this year. 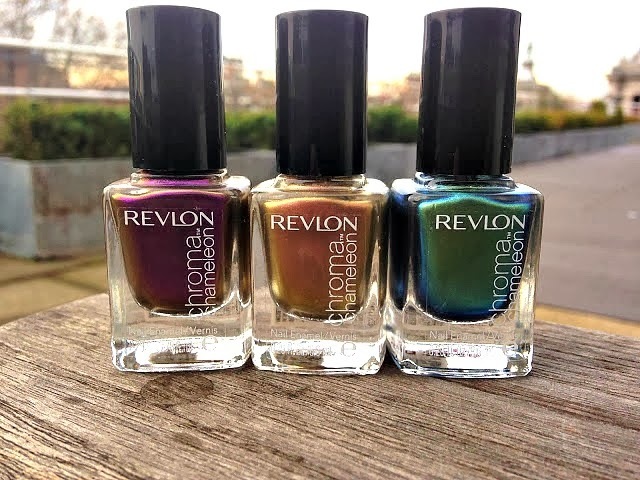 Revlon Chroma Chameleon™ Nail Effects is a collection of 6 iridescent, colour-traveling shades of nail enamel with an irrestible chrome effect. The shades i chose are Topaz, Pink Quartz and Tanzanite and i think they would complement many skin tones. 1. 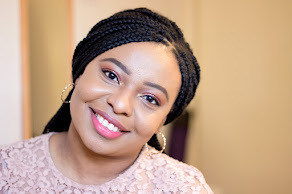 Be a follower of my Blog via GFC or Bloglovin AND my Twitter account. That's it folks....easy peasy. 1.This giveaway is open Internationally and a winner will be chosen via Random.org by December 31 2013 and I would announce a winner on 1st January 2014. A perfect way to usher in the New Year. 2. You need to be 18 years and above to be eligible for this contest or you would need to provide parental consent. Thank you and Goodluck!! Awesomeness! The shades are sooo cool! hey :) thynk you so much they look awesome! 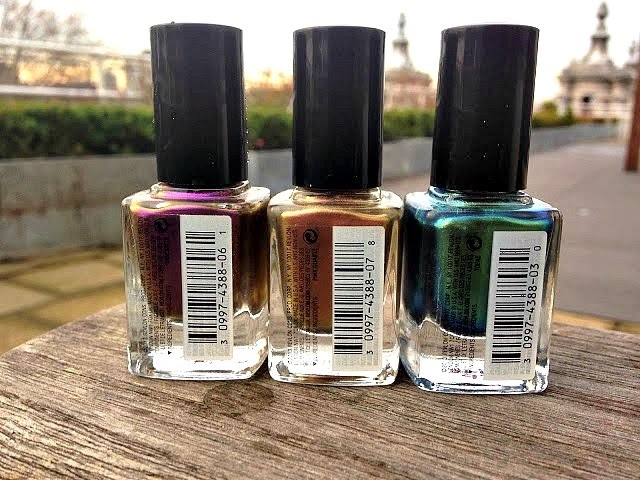 Love multichromes, I haven't tried or even seen these yet! Thank you for the giveaway! :) Happy Holidays!